Well every travel enthusiast has a list of places they always dream of visiting at certain point in their lives, am no exception and have quite a number of places I would like to visit in my lifetime. I love nature, adventure, hiking, trekking and viewing wild animals especially the endangered species and anywhere there is a wildlife conservation sanctuary gets priority in my travel list. Am lucky to have grown up in a country, Kenya where this is achievable as there are many hiking places and many wildlife sanctuaries all over. My confession is, I have never been to half of these places especially the wildlife sanctuaries. Hence, I had to come up with a list of places I intend to visit in my own country, ranking them from the one I have planned to visit for a long time down to the most current addition to the list. Yes I love to travel the world but why shouldn’t I start with what my country has to offer. I also take this as a chance to create stories about my country and when I get to visit other countries, I can share what is back home from experience and not just from what I read or hear. I have chosen to call my list of places to visit my adventure travel in Kenya as I intend to transform every visit to a great adventure and make sure I have as much fun as I can afford. If I can’t have fun in my own country, how do I expect others to be enticed to visit. Below is what made to the list for now, though there are those places I already have visited but would still look forward visiting again and again, I will share that next time. Amboseli is one of the most visited parks in Kenya and the second most popular after Maasai Mara. It is found at the foot of Mt Kilimanjaro south of Kenya near the Tanzania border. It is popular for having large herds of elephants that can be viewed up close as they move across the flat dusty stretch which has scarce tress and thorny bushes. Well, I have planned my trip to Amboseli for a while now and two of my plans were canceled at the last minute due to unavoidable circumstances. This has not stopped me from dreaming of how my adventure there will be. Waking up to the view of the snow-capped Mt Kilimanjaro, I always plan to take up a room that faces the mountain. The game drives through the park viewing elephants, lions, cheetahs, wildebeest, buffalo and maybe the elusive leopard. After lunch, I plan to sit under the sun shade and catch up on some many bird species found here. Before my visit is other, I will make sure I interact with the generous Maasai peoples as their culture always amaze me plus their stories on how they interact with the wild animals over a bush fire in the evening would climax my stay. The first time I saw pictures of this forest I could not believe it was in my country, a few kilometers from where I am. I call myself a know-it-all but this place took long for me to find out of its existence. After doing research on the place, a fell in love and it automatically went to my list places to visit. Ngare Ndare is an indigenous forest at the foot of Mt Kenya that acts as a wildlife corridor connecting Mt Kenya National Park with Lewa Conservancy. It has been an elephant migratory corridor for many years. The forest has one of the longest canopy walk in East Africa, allowing it’s visitors to have a monkey view of the forest over the one kilometer stretch. One is able to see herds of elephant, buffaloes or black rhino from up on the canopy while enjoying the great flora and fauna in the forest. There are also walking and bike trails that one can utilize in the company of a guide. There are very cool river pools that offer a refreshing swim and also a high diving session. There are two camping sites in the forest if one would like to spend the night with nature. Lewa is a private conservancy hence rated as a luxury travel destination with one of the most expensive hotels in any wildlife sanctuary. Well, might take quite sometime to afford a night in one of their hotels but I cannot get it off my list. They also boost of directing all proceeds gotten from visitors back to community conservancies so its worth it. I love community conservation and this is one of the leading conservancies in Kenya, I would like to learn all they do and at the same time enjoy a game drive to view the wide range of rhinos both black and white, herds of elephants and buffaloes, the big cats, wild dogs and the various birds’ species sighted in the conservancy. Mount Kenya is all about hiking/rock climbing and it is marked as a difficult terrain. If you would like the actual hike up to the last peak, it is advisable to take some months of training or even conquer some smaller hills before embarking on Mount Kenya. Samburu National Park is home to the famous ‘Samburu Five’ which comprises the gerenuk, bersia oryx. grevy zebra, reticulated giraffe and the Somali ostrich. They are also large herds of elephants, big cats, wild dogs and some endangered birds’ species. Most interesting thing about this area is that I actually wanted to go to a particular hotel, The Sarova Shaba Hotel having seen it being advertised with great offers not even knowing it is situated in Samburu National Park. My planned travel will be so easy as I already know where I will be staying. This is one of the largest desert and alkaline lake in the world. The lake is listed as UNESCO world heritage site with three national parks surrounding it namely; Sibiloi National Park, Central Island National Park and South Island National Park. The lake also forms a breeding ground for the great Nile crocodile which grow to giant sizes, hippopotamus and snakes. Hominid fossils have also being discovered in the areas surrounding the lake. There is also the Turkana festival held by the ethnic communities who live in this area. The most outstanding thing about these communities is how they have managed to maintain their traditions and culture in this modern world. They are also know to adorn very beautiful ornaments that make them stand out. They also share on how they survive living in this arid area and how they overcome obstacles like drought, wild animals and lack of water. This is one of the oldest and largest parks in Kenya, it is famous for it’s earth-red covered elephants among other wildlife and bird species. Well I only had a feel of Tsavo through the use of the railway that passes through the park on my way to coastal Kenya. There is also one hotel in the Tsavo that I really admire and would like to visit and stay for a few days, the is the Sarova Salt Lick Game lodge. This is one lodge that is in the heart of Tsavo and is elevated above ground giving you a chance to view herds of wildlife as they go to have a drink at the watering hole down below. 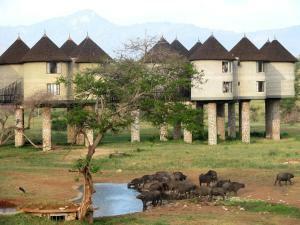 On the other end lies Sarova Taita Hills Game Lodge, also a delightful hotel to spend sometime in. Good thing is there are so many travel packages that offer a combination of a night at Sarova Taita Hills, game drives during the day and a night or two at Sarova Salt Lick that is quite affordable. This is a private conservancy in the heart of Laikipia County famous worldwide for being home to the last northern white rhinos after they were brought here from the Dvur KraLove Zoo in Czech Republic. It is also home to the chimpanzee sanctuary, the Sweet Waters Chimpanzees Sanctuary. I got to learn that you can volunteer for two weeks at the place which is the best choice for me as I would get to learn a lot about wildlife rescue and conservation while observing all the beautiful wildlife inclusive of The Big Five found in the sanctuary. 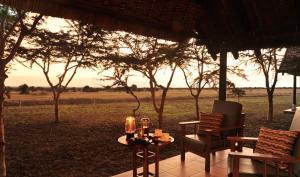 I also know the conservancy to have one of the best luxurious honeymoon suites in the wild. So anyone who fancies a honeymoon in the wild can consider this particular sanctuary. The coastal beach region is one of the most popular travel destination for Kenyans and you cannot be Kenyan enough if you haven’t been to the beach. Am not exception though lying in the beach under the scotching sun is not my favorite vacation time. One place that I would consider visiting due to its rich marine life is the Watamu Marine Park, am not a fun of water but since am a fun of animals, I would not mind seeing the see wildlife through snookering or glass bottomed boat rides. The park is famous for the green turtle, unique coral reefs and the dugongs. 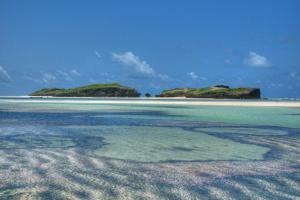 This is also marked as a UNESCO Biosphere reserve and has the white shark and manta rays visiting seasonal. Wow! Amazing post! Me and my wife are planning to go on the safari one day, so this post is very useful to us! 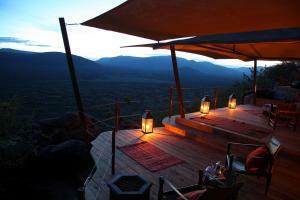 I’m delighted with Samburu National Park! Hope you and your wife get the safari experience that you have always wanted. Yes, Samburu National Park is one of the most natural parks as most of it’s environs remain untouched plus it has such unique wildlife not found in other parks like the gerenuk, orynx, somali ostrich and their predators the big cats. I really love this article because I would love to go on an African safari. I would love to visit Kenya, it sounds wonderful. Thank you for the information. Glad you found the information useful and has enticed you to go on a safari to Africa more so to Kenya, hope you make it a reality and i pray your experience on safari exceeds your expectation. Karibu Kenya. OH what a wonderful dream! It would be wonderful to go on a Safari through Africa. Thank you for showcasing the lovely resorts and reserves Kenya has to offer. Tsavo National Park looks amazing! Yes, there are very wonderful places in Kenya, i hope that your dream will come true and you will have your safari in Africa. Yes i have my plan all cut out and will be visiting this places in the second half of 2018. I will share my experiences here so watch out for more posts.